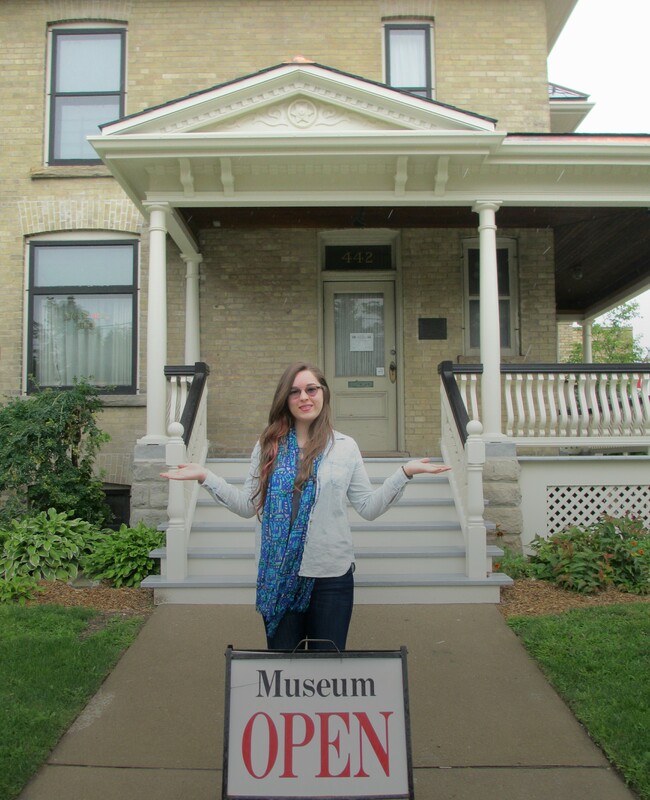 As my experience as Summer Intern here at Banting House comes to its close (with only two weeks more until September), I’m starting my second-biggest challenge of all – Grant is on vacation! I say “second-biggest” because nothing can beat how busy we were with Banting & Friends VI (an event that turned out to be well worth it)! So, with our curator away, for the next two weeks, I’m in charge of the museum. 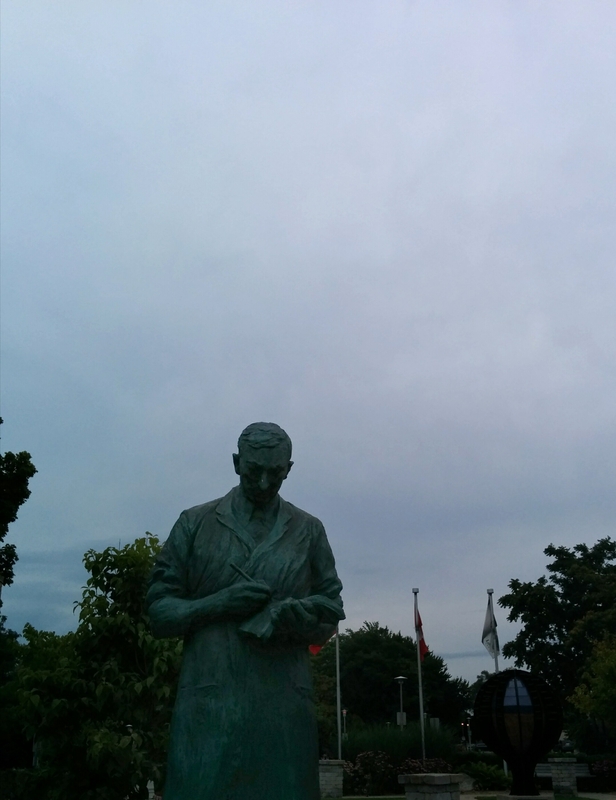 The most important things I have to do are to make sure we’re open on time every day, that Sir Frederick G. Banting Square stays clean and beautiful, and that our volunteers have everything they need when they come in to help. I have some new, more minor responsibilities too, like watering the plants once a week (three times in total, starting today). I think the most intimidating thing is having to be able to handle the random, unexpected things that might come up. To be honest though, I’m pretty confident I can manage – yesterday, we had a surprise group of about 20 people come into the Museum; I might’ve looked a little wide-eyed as I watched them all filing through the door, but between yesterday’s volunteer, Steph, and I, we were able to make sure things went smoothly. It’s fun when the unexpected happens here, it keeps me on my toes, and gives me a break from research and Wikipedia editing! There haven’t been many surprises today though, so, for now, I guess my next task is to water the spider plants (which I actually just learned have better air purifying qualities than many other plants – good choice Grant). Then, I’ll hope someone comes in for a tour, despite today’s dreary weather. Posted in Behind the Scenes at Banting House.Tagged Banting House NHSC, London, Museums, Sir Frederick Banting, Sir Frederick G. Banting Square, Volunteers. Would you please let me know where I can buy the 2015 Banting house calendar with copies of Dr. Banting’s paintings? You can pick them up from the Museum – we are open Tuesday to Saturday from Noon to 4pm. Or, you can order them by emailing banting@diabetes.ca with your mailing address and we can work out a plan to ship them to you. We are selling them for $5 (tax included) plus shipping. Previous Post Fun Facts about the Flame of Hope! Next Post Behind the Scenes: This Week’s Adorable Tours!